6-piece line-up including one musician also calling. Play 2x45 minute sets with recorded music in break. 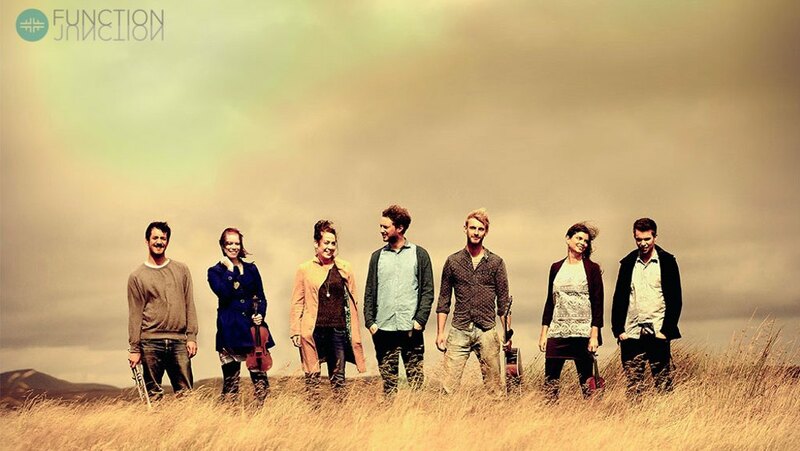 The Steam And Whistle Club are a band of exuberant, young musicians who are rapidly making their mark on the UK folk scene, thanks to the virtuosity, range and excitement they bring to every performance. 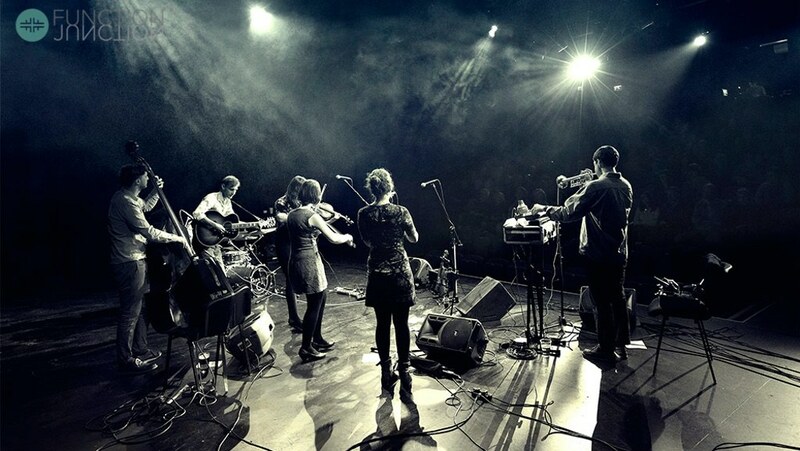 Their six-piece line-up consists of whistle, two fiddles, guitar, bass and cajon/bodhran percussion, with one of the band members also “calling” the dances. All in their 20s, they share a wealth of musical experience – from European opera tours and international jazz festivals, to early music recitals, rock clubs and green festivals – which they combine with their deep-rooted love of folk and world music. 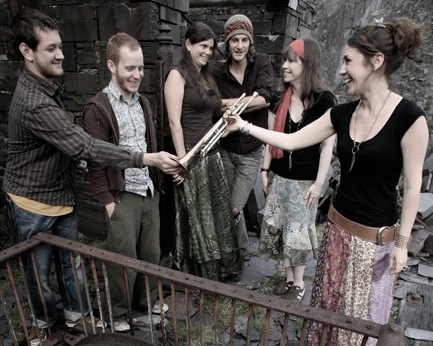 Their recent album from which their demo tracks are drawn, has received critical acclaim and was described by Bob Harris on BBC Radio2 as “An absolute gem … absolutely wonderful.” As well as playing and composing their own material though, the band realise that people like to hear familiar old favourites at ceilidhs and barn dances, so rest assured that the Gay Gordons, Flying Scotsman, Dashing White Sergeant, Strip the Willow, etc will all be on play list. Recent performance highlights include the main stage at Moseley Folk Festival, The English Originals Festival, The Cuckoo’s Nest at Leek and touring as a featured small band within Joe Broughton’s Conservatoire Folk Ensemble – the band within which they met. The band normally play two 45 minute sets and provide their own PA system. The Steam And Whistle Club are based in Birmingham. See Pricing for details of travel costs, etc. "We were so happy with everything! and would rate them highly." "The band were great, really energetic and very quickly got everyone dancing. The caller was clear and good describing the moves. We thoroughly enjoyed it and had people queuing up waiting to dance and it's a big space with a lot of space for dancing!"